I copied this down for Edie rather a while ago but it is still amazing. The most most most special one: I want a huge box of jewels! Six green and red and white and blue pairs of heart jewels and seven pairs of flower shaped jewels and sixty seven pearls and I- the most special pair of jewels that I could think of, mermaid shaped jewels and fairies. Sixty seven eight nine of them. And for my cousin, the most most special ones to me. Hard to say it, but I will do it. 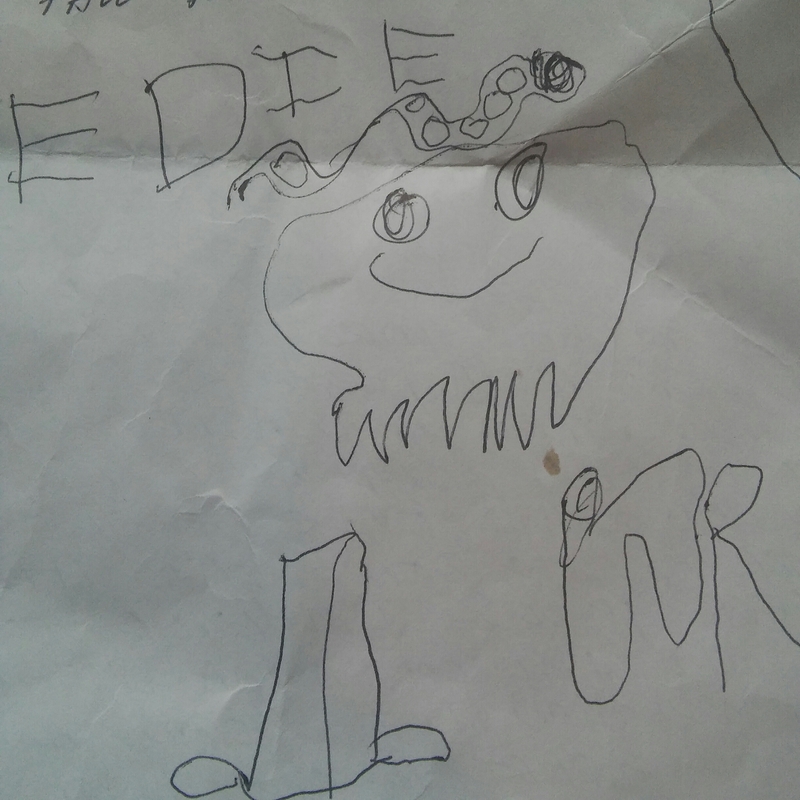 A person named Iris who is ten and a person named Edie who is five standing in the snow hugging. And huge jewels for my brother so he won’t eat them. And princess jewels. I’m going to capture a snake and I’m gonna make the snake get poisoned and get dead and I’ll glue on the heart jewels and I’ll make sure it’s not alive and I’ll take out the guts and hide it in the drawer by my bed.It’s covered with red white and blue jewels and when it’s next fourth of July I’ll bring it Poppy and he’ll really love it and he’ll say wow Wow Wow WOW! And he’ll fall down on his head and Mimee will be like wow Wow WOW! And she will bake my favorite kind of cookies, rainbow M&M cookies, and she’ll squeeze me so tight that I’ll lose my breath and fall down like Poppy.